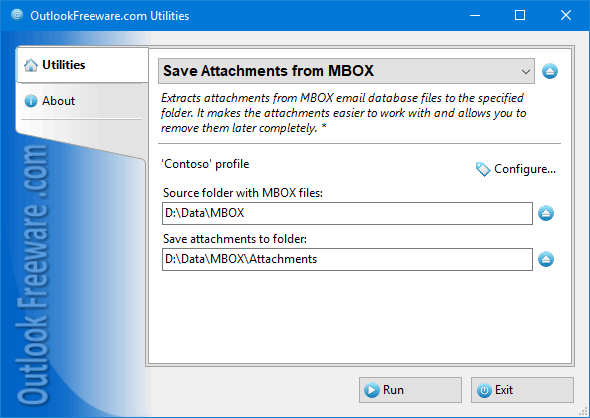 This free utility saves attachments from message base files of MBOX format. To save attachments from MBOX files in the selected folder, simply specify the location on your drive or network resource for attachment files, set filters on the file types and attachment names, message dates, and run the utility. When saving, the tool can recreate the original folder structure of MBOX files and save special attachments.